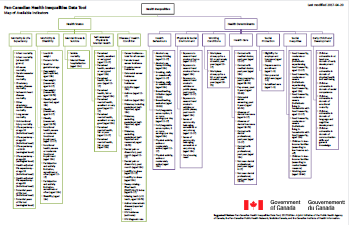 This model integrates the determinants of health with the Ottawa Charter actions and levels of intervention. 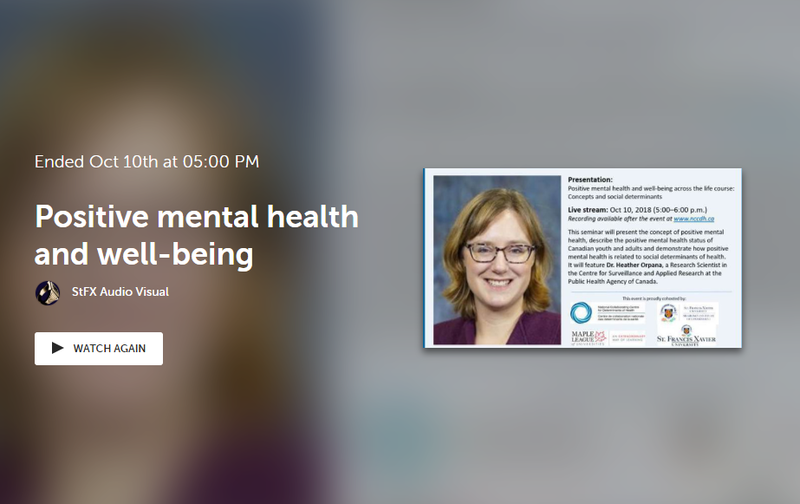 In this archived webcast recorded at St. Francis Xavier University on October 10, 2018, Dr. Heather Orpana of the Public Health Agency of Canada (PHAC) explores the social determinants of health’s impact on positive mental health for youth. 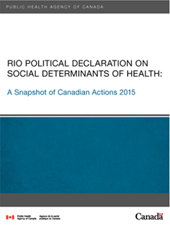 The purpose of this report is to showcase Canada’s recent actions that contribute to the commitments stated in the World Health Organization’s Rio Political Declaration on Social Determinants of Health . 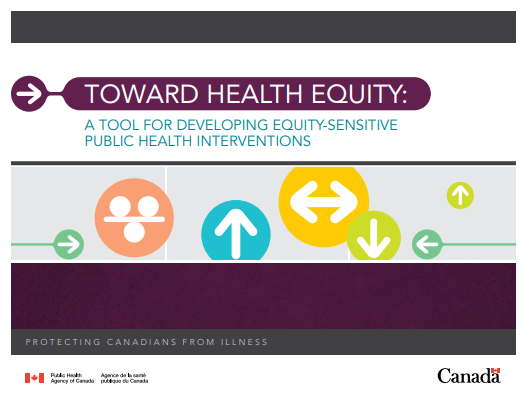 This practice tool from the Public Health Agency of Canada (PHAC) outlines five steps to help integrate health equity into existing and new public health interventions. It prompts users to identify equity elements relevant to their intervention and ways to address them.